← Not Everything Can be Measured with Kitchen Scales. Oh the power of words. How many times do our kids hear or read these damning, undermining words? Every time they hand in a paper to be graded, every time they sit a test, every time they raise their hands to answer a question, they are leaving themselves open to either a direct or an implied pass or fail judgment. Let’s change the culture in the class room. Let’s make it absolutely clear that we are here to learn, that learning requires risk taking and risk takers are a lot more interested in practicing things, in getting better and better at them, and not so interested in passing or failing. What would this look like in a classroom? Teachers ask a lot of questions. Teacher asks a question, lots of hands go up. What happens here is that student A knows he has ‘passed’, as does everyone else. Everyone else can now stop thinking. What happens here is that Lizzy knows she has failed and has to deal with this and everyone else knows that failure is an option so the risks involved in answering just got higher unless you are sure you are right. No judgment. No closing down of thinking because no doors have been closed. No fear of being wrong. Thinking continues. If the teacher asks a question and withholds judgment, either positive or negative, the thinking will continue and risk taking will continue. Learning has a much better chance of continuing too. Students do a lot of writing and teachers read what they write. Grade two have been working hard on spelling patterns. They have been exploring the ‘ph’ digraph and looking for words that contain it. In a writing passage one child spells elephant like this ‘ellephant’. The teacher draws a red line through the word, indicating it is incorrectly spelled. The child has failed. The teacher places a series of small check marks above the e, the second e, the ph, the a, the n and the t. The teacher circles the ll. The child knows she got six things right but needs to work on one thing. She needs more practice. it’s not a matter of right or wrong, of pass or fail. Share some of the practices in your classroom that change the culture from a pass/fail culture to a culture of practice. 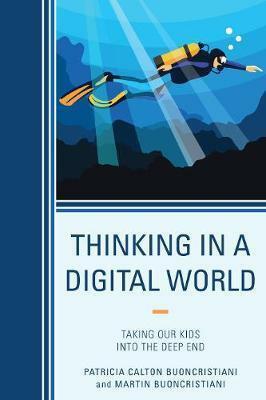 Our latest book "Thinking In A Digital World"
Logographs, Alphabets, Emojis and Giphs. What next?